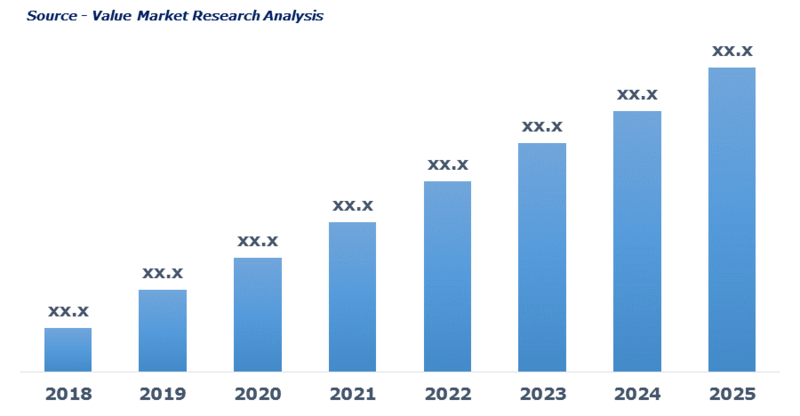 As per this study the Global Pharmaceutical Blister Packaging Market was valued USD 5.9 BN (by revenue) in 2018 and is anticipated to reach USD 8.9 BN by 2025 with a CAGR of 6%. Blister packaging is a pre-formed plastic packaging used for protecting products from external factors that extend its shelf life. In the pharmaceutical sector, it is used to protect drugs from moisture, gas, high temperature, contamination, and other external factors. PVC, PCTFE, PVDC, aluminum, and other materials are used to increase the life of the capsules, tablets, and syrups.